The MetroWest Chamber of Commerce strives to provide our member businesses with benefits that help their business legislative and regulatory changes and with the advent of social media, have seen that many businesses just cannot keep up! 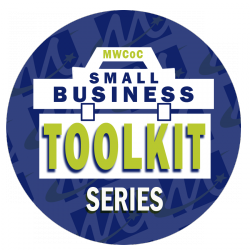 The Small Business Toolkit Series helps with these challenges. Each month we provide training courses and seminars at the Chamber office to help keep small businesses informed of the changes that may affect them as well as provide learning opportunities to help them grow and succeed. Topics that will be covered include social media use, networking skill development, referral generation, sales tips and techniques and more. It is our hope that this benefit provides you with additional tools to help you grow.